This is a book report on Green Darkness by Anya Seton. Anya Seton (1904 – 1990) wrote several historical fiction novels about real-life and fictional protagonists. My high school library, my college library, and my Grandma Gaffron’s library all carried her books. Philippa Gregory wrote forwards to new editions of several Seton novels. Perhaps our high school librarian set it out as one of her recommended books. Dragonwyck told the fictional tale of a poor young farm woman in New York State who married a rich man who knew President Martin Van Buren. She learned that the rich husband actually poisoned his first wife and intended to kill her as well. Dragonwyck has the same gothic plot as movies (such as The Babysitter’s Seduction starring Kerri Russell) and at least one Mary Higgins Clark book (A Cry in the Night). Katherine fictionalized Katherine Swynford’s life in the 1300’s. Katherine grew up in a convent after her father (a knight) died serving the King of England and the Black Death killed her grandparents. Her sister Philippa married Geoffrey Chaucer. Katherine married John of Gaunt, Duke of Lancaster after his first wife died of the Black Death and his second wife also died of something horrible. Katherine’s stepson, Henry, overthrew his own cousin Richard II from the throne of England. Henry became Henry IV of England. Next, I read My Theodosia. Finally, I read Green Darkness. Now, I consider Green Darkness (published in 1972) as a cross between fantasy and historical fiction. The story “begins” in the year 1970. A fictional American – Celia Marsdon – moves to England with her British husband, Richard. 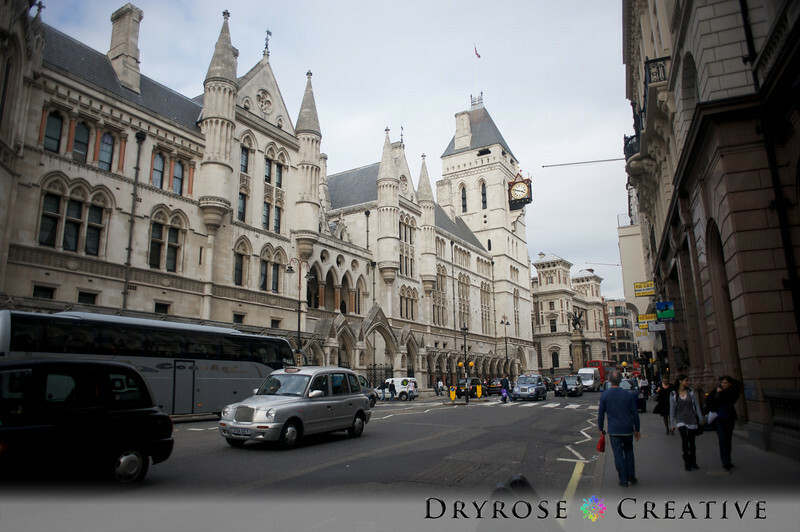 Richard grew up in his family’s ancestral seat in Sussex, but he hated his childhood there. Richard still decides to move back home after his father’s death. Big mistake. The Marsdons show up in Sussex on Halloween. They stop first at the ruins of Chowdry House, a real-life Tudor mansion that burned down in the 1700’s. Celia insists that she remembers being in that mansion before it burned. The Marsdons watch bonfire lights in the rural darkness. 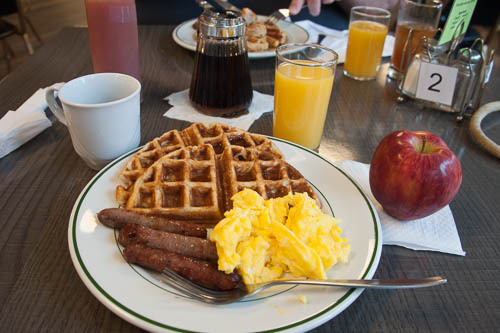 They meet business associates at the real-life, ancient Spread Eagle Inn. During drinks, somebody jokes about Halloween and its “wormy dead” which “rise from their graves.” The business associates tell Celia a ghost story about a “black monk” (a Benedictine monk) who haunts the area. Celia slips out of the inn to look for the ghost monk. Celia finds the ghost monk and chases it. (Just like every episode of Scooby Doo!) Richard finds Celia and gets angry. The Marsdons “settle” into Richard’s ancestral home. Their marital problems continue. Richard plays the song “Celia, Wanton and Fair” over and over on his record player. Celia tours a famous “real” landmark, Ightham Mote, with her mother. They learn that renovation crews recently found a skeleton walled up in the estate’s main house. Celia suffers vague flashbacks to prior events there and she falls ill. 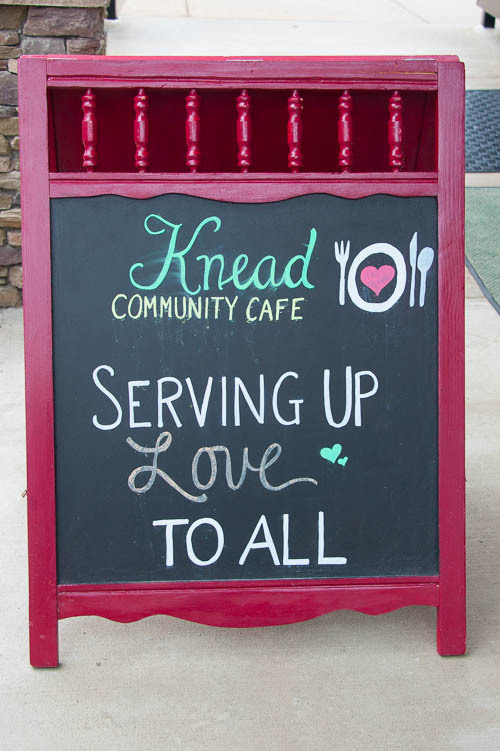 The Marsdon newlyweds hold a dinner party for a bunch of people that they barely know. However, all of the guests at the party actually seem “familiar” to Celia. Celia suffers a medical emergency that night. As Celia recovers in a hospital, her mother brings to her bedside a physician / Hindu teacher. Under this doctor’s “guidance” Celia recalls memories from her prior life as Celia de Bohun in the 1500’s in Sussex. The story goes back to the 1500’s for about 500 pages. Celia’s husband from 1970, Richard Marsdon, is a Catholic Benedictine monk named Stephen Marsdon in the 1500’s. Brother Stephen Marsdon lives in an English monastery until Henry VIII closes it through the Dissolution of the Monasteries. I imagine that Stephen’s monastery resembled Tintern Abbey. (I will blog about Tintern Abbey next.) Stephen flees to France, but later returns to Sussex. I need to mention that Celia de Bohun’s aunt, Ursula, is obsessed with predictions and divinations. Aunt Ursula hires a famous mystic to tell Celia’s fortune. The mystic predicts Celia’s early and violent death. For the next several hundred pages, Celia de Bohun and Stephen Marsdon fall in love as they dodge the wrath of the Tudor monarchs. As you probably guessed, Stephen Marsdon and Celia de Bohun leave behind “unfinished business” in the 1500’s that Richard and Celia Marsden resolve in 1970. Celia Marsdon wakes from her trance in 1970 and she realizes that the guests from her dinner party were all reincarnated from people that she knew as Celia de Bohun in the 1500’s. The two Celia’s, Richard, and Stephen are all fictional, as are all of the guests from the 1970’s dinner party. However, several of the characters that Celia de Bohun met in the 1500’s are real historical figures. The “ghost monk” that Celia Marsdon chased on Halloween is based on the “real” ghost story about the Black Monk of Pontefract. Green Darkness spans about 600 pages. In my opinion, Seton should have cut this down to 300 pages. The story goes off on many side plots (tangents) that have nothing to do with Celia and Richard’s “unfinished business.” I suspect that Seton plugged unused material from her other books into this, her final finished novel. If I ever return to the United Kingdom, I might visit these real places listed in Green Darkness: the Chowdry Castle ruins, the Spread Eagle Inn, and Ightham Mote. In Green Darkness, some of the characters who mistreat and abuse others in the 1500’s pay dearly for it in 1970. Similarly, kindly Aunt Ursula suffers in the 1500’s but during the 1970’s dinner party she is rich and beautiful. It’s important to be nice to people. Karma exists. Anya Seton passed away in 1990. Hypothetically, if she was born into another life in 1991, she would now be 28 years old in her new life. Perhaps Anya Seton lives on in the body of another writer. 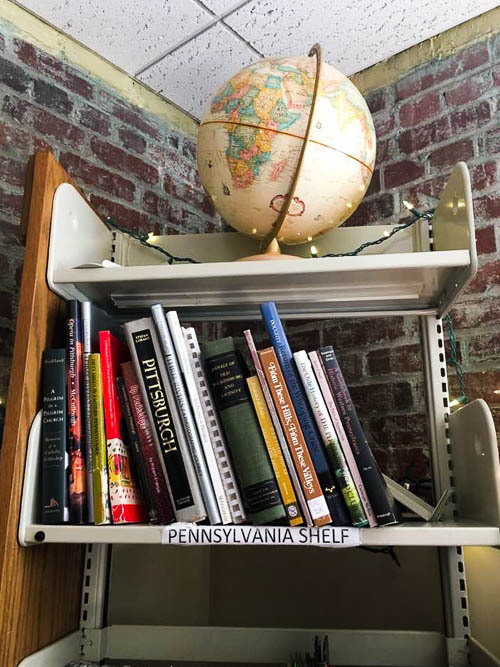 The Pennsylvania Shelf at my favorite used book store. Here’s a Monongahela (Mon) River secret: I believe that one of the most “Pittsburgh” things about Pittsburgh, Pennsylvania isn’t actually within Pittsburgh’s city limits. By this, I mean the stretch of the river about ten or so miles upstream from where the Mon meets the Allegheny to form the Ohio River in downtown Pittsburgh. By this, I mean the communities of Braddock and North Braddock, PA. The Mon flows south to north here. 1.) Every Pittsburgh “origin story” includes the Battle of the Monongahela during the French and Indian War. In 1755, the French and their indigenous allies ambushed British General Edward Braddock’s army and his indigenous allies at Braddock’s Field (this land is now present-day Braddock and North Braddock, PA). A young George Washington served as an aide-de-camp to General Braddock. Braddock died from his wounds during the retreat. Washington lead the retreat and he oversaw Braddock’s burial. 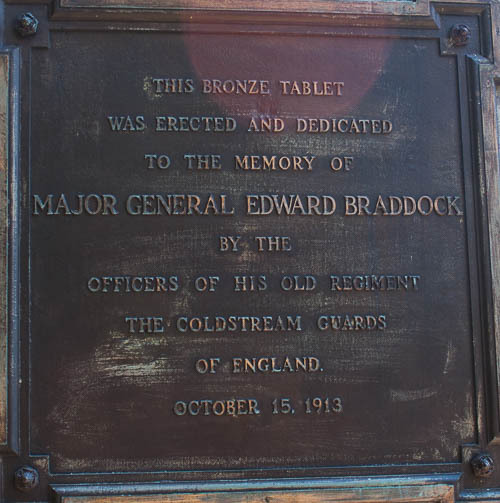 Marker on General Edward Braddock’s grave. General Braddock was mortally wounded in Braddock’s Field during the Battle of the Monongahela in 1755. 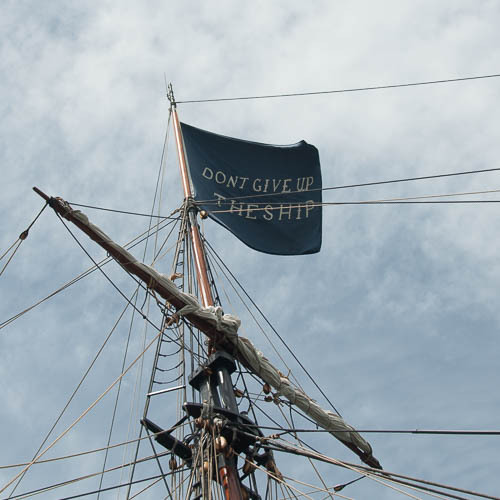 Any internet search on “Braddock’s Defeat” and “folklore” will overwhelm you. For fun, throw in these search terms: “Simon Girty,” or else, “missing gold.” One legend even claims that divine intervention saved Washington from death. Another alleges that one of Braddock’s own soldiers (intentionally) shot him. 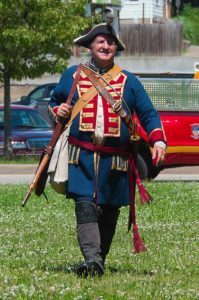 This re-enactor portrays a British soldier during the French and Indian War. 2.) In 1794, rebels of the Whiskey Rebellion gathered in this very same Braddock’s Field before they marched into Pittsburgh to protest the U.S. government excise tax on whiskey. President Washington sent federal troops to put down the insurrection. 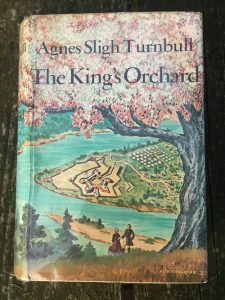 In the fiction novel The King’s Orchard by Agnes Sligh Turnbull, angry frontiersmen threatened to burn down the houses of Pittsburgh’s leaders during this rebellion. 3.) Braddock’s Field sits very close to the present-day Edgar Thomson Steel Works. 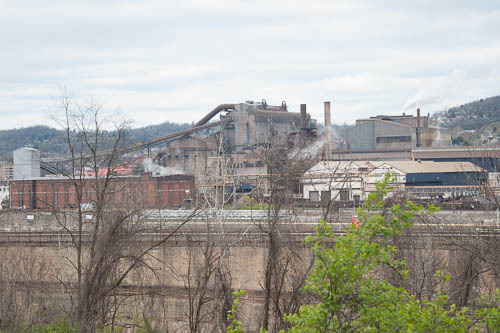 In 1872, Andrew Carnegie and his business associates built this steel mill. They named the plant after J. Edgar Thomson, the president of the Pennsylvania Railroad. They equipped the plant for the Bessemer process. 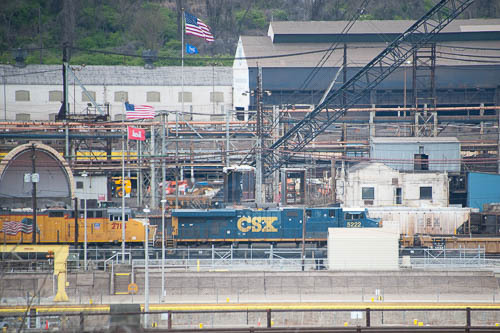 U.S. Steel owns this working steel mill today. I found one travel blog in which the writer (a military history enthusiast) visited the Braddock community and attempted to retrace the Battle of the Monongahela. The blogger recounted the battle (in great detail) and provided maps. The blogger complained that later “progress” corrupted this land to the extent that he couldn’t actually view the battlefield in its pristine state from 1755. The blogger’s complaint stuck with me. Just think about the tragedies and injustices (including labor disputes and the Johnstown Flood) that some blame on Pittsburgh’s Industrial Revolution leaders. If the blogger wants to complain about Andrew Carnegie and his business associates, he needs to take a number! 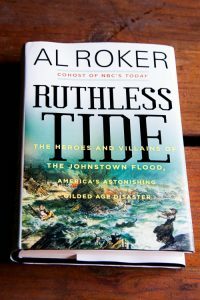 Al Roker spotlights Pittsburgh Guilded Age leaders such as Andrew Carnegie, Henry Clay Frick, and J. Edgar Thomson in “Ruthless Tide,” his book about the Johnstown Flood. Roker’s book also taught me about the Edgar Thomson Steel Works. What do you consider to be the most “Pittsburgh” places in Pittsburgh? 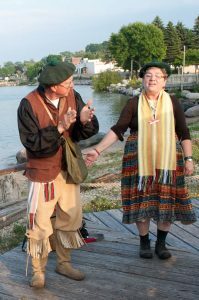 These re-enactors portray French settlers in North America during the 1700’s. In the 1750’s, the French and British fought for control of the mouth of the Ohio River (present-day Pittsburgh) during the French and Indian War. My view of the Edgar Thomson Steel Works and of the Monongahela River as I sat on the opposite side of the river, behind Kennywood Park in West Mifflin. This was my Part 3 of my Secrets of the Mon. Here is Part 1 and Part 2 of my Secrets of the Mon. 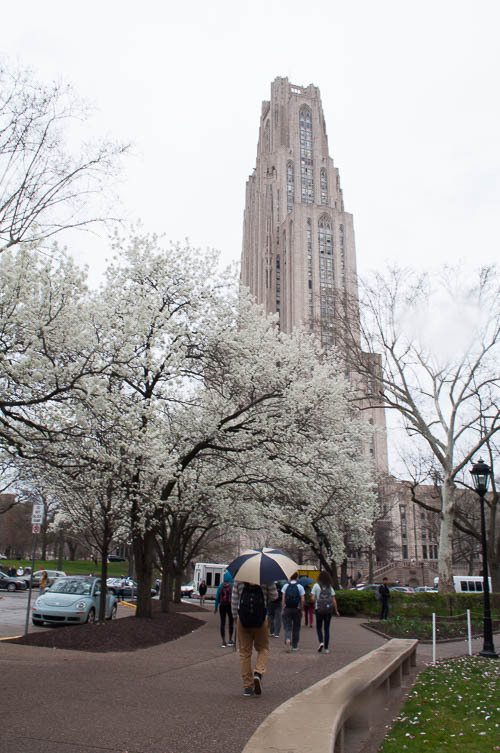 Author JennyPosted on April 21, 2019 April 23, 2019 Categories Books, History, Lore, Monongahela River, Outdoors, Pennsylvania, Rail-Trails, Rivers, The British, Travel, Western PennsylvaniaLeave a comment on The Most “Pittsburgh” Part of Pittsburgh? 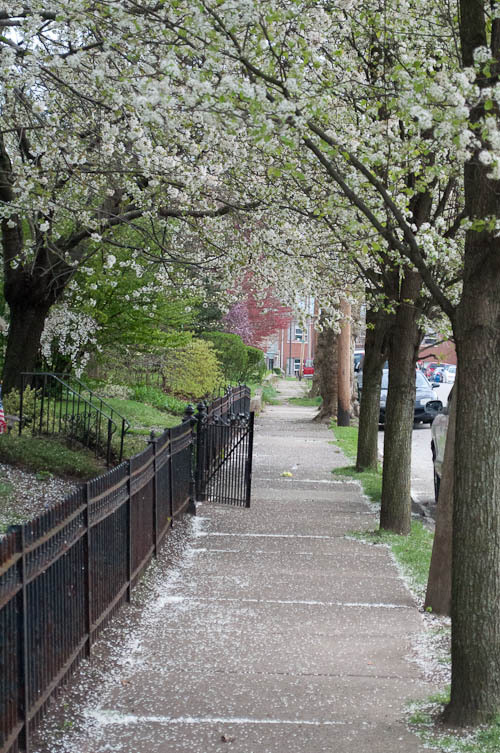 Author JennyPosted on April 16, 2019 Categories Pennsylvania, Western PennsylvaniaLeave a comment on Happy Spring! This is Part 2 of my series on the “Secrets of the Mon.” You can read Part 1, Taj Mahal on the Mon, here. In Part 1, I blogged about Nemacolin Castle, a mansion overlooking the Monongahela River (the Mon) in Brownsville, Pennsylvania. Today I blog about another home on a hill above the Mon. At this new estate, I saw all of these: a Jefferson cabinet member’s “cursed” home, the rumored grave of this man’s dead bride, a live bride preparing for her own wedding, and Robert E. Lee’s confiscated furniture. 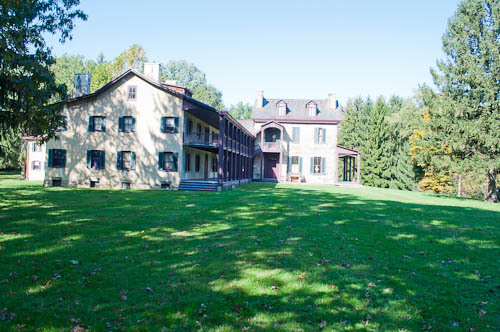 Today I blog about Friendship Hill National Historic Site in Point Marion, PA. Today I blog about the country estate of Albert Gallatin. By now, you’ve all heard of the United States Secretary of the Treasury, right? President Trump appointee Steven T. Mnuchin (Net Worth: $300 million) serves as our current Secretary of the Treasury. The idolized and fabled Alexander Hamilton served as our first Secretary of the Treasury. Hamilton rival Albert Gallatin served as our fourth Secretary of the Treasury. Gallatin was born into a wealthy family in Geneva, Switzerland. He emigrated to the Unisted States in 1780’s. So, just like Hamilton, Gallatin was an immigrant. Just like another Secretary of the Treasury, Gallatin was born into wealth and privilege. Since Gallatin had money, he got to chose where to live. He first tried to live in New England. He then moved to Virginia. 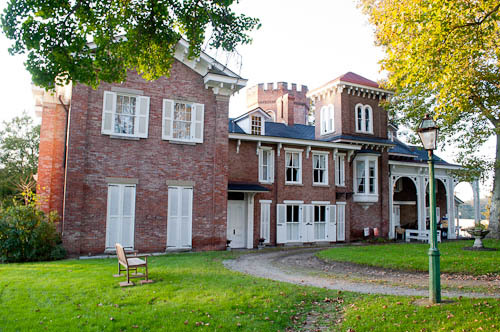 Finally, Gallatin settled on a rural estate in Southwestern Pennsylvania. He settled above the Mon. He settled on the property that became Friendship Hill. The Mon flows south to north. Downstream from Friendship Hill, the Mon joins the Allegheny River at Pittsburgh to form the Ohio River. The Ohio River then flows into the Mississippi River. Now, as I blogged here, tremendous earthen mounds dotted the banks of the Mon, Ohio, and Mississippi Rivers. From where did these come? If humans built these, then who? Archeologists maintain that indigenous people built these hundreds or even thousands of years ago. But how? One theory claims that humans significantly larger than ourselves – those known in lore as the “Tall People” – built these mounds. Some storytellers insist that aliens from outer space built the mounds. What is the truth behind these mounds? Did these mounds bring special energy – special power – to the banks of the Mon? 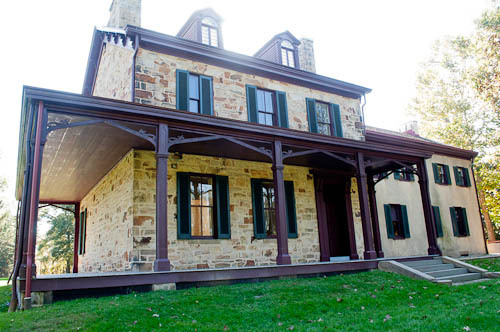 Did the Mon’s special power call Albert Gallatin to build his home along the Mon? Gallatin purchased the 400 acres of land in present-day Fayette County, Pennsylvania, that we now call Friendship Hill. 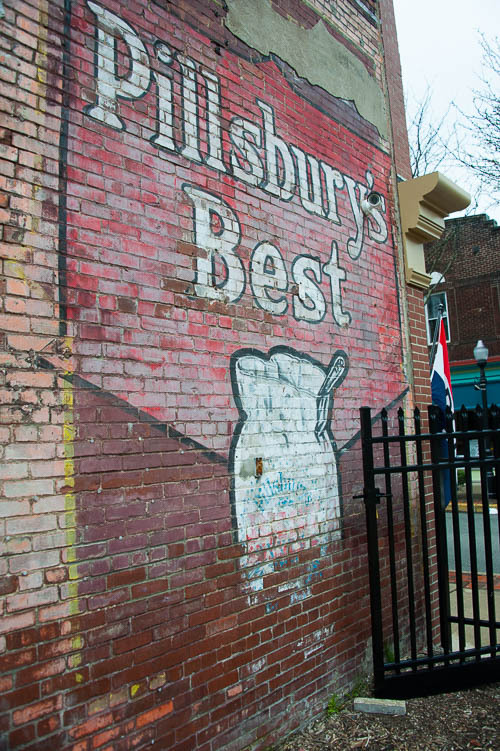 Since Gallatin pursued a political career, he still lived at times in Richmond, Virginia. By 1789, Gallatin proclaimed his love for Sophia Allegre, the daughter of a Richmond boardinghouse owner. Gallatin wanted to marry Sophia and take her back with him to Friendship Hill. 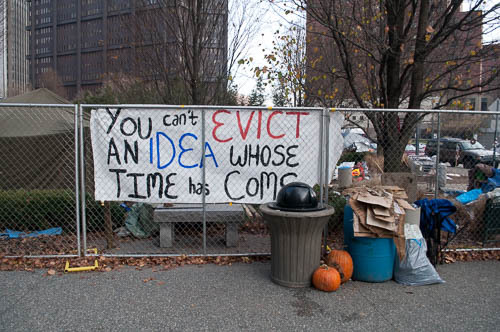 Now, keep in mind that this happened less than a decade after the American Revolution ended. Friendship Hill still belonged to the wilderness, the unknown. Friendship Hill sits on the edge of the Appalachian Mountains. White settlers battled the Iroquois Confederacy for this land. Illness and violence threatened all. In 1789, Virginia and Pennsylvania still recovered from years of war and sacrifice. Whatever the reason, Sophia’s widowed mother opposed the match. And for her own reasons, Sophia eloped with Albert Gallatin in May 1789. Albert and Sophia Gallatin set off to build a life together at Friendship Hill. Five months later, Sophia Gallatin died at Friendship Hill. How did Sophia die? Pregnancy complications? Illness? Rumors even hint that Sophia Gallatin suffered a violent death in the woods. In any case, Albert Gallatin buried his Sophia in an unmarked grave overlooking the Mon. Gallatin left Friendship Hill and carried on with his long diplomatic and political career. He represented Pennsylvania as a United States Senator. He served as 4thUnited States Secretary of the Treasury under Thomas Jefferson and James Madison, from 1801-1814. In this position, he purchased the Louisiana Territory and funded the Lewis and Clark expedition. Gallatin remarried. His new wife insisted that the couple not live at Friendship Hill. Did the new Mrs. Gallatin fear Friendship Hill’s remoteness? Did she know dark secrets about her husband’s home on the Mon? Whatever the reason, Gallatin agreed to give up living in southwestern Pennsylvania. He sold Friendship Hill. Future owners lived in and expanded the original structure where Albert and Sophia Gallatin lived. 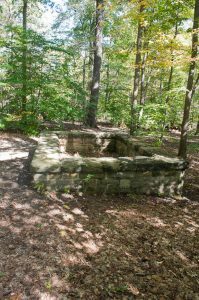 The story claims that workers discovered Sophie’s original grave as they constructed a cistern and pump house. They moved her body to another location on the property. Friendship Hill changed owners several times. Homeowners suffered misfortune and tragedy. Local folklore blamed the tragedies on a curse. Then the ghost stories bloomed. The National Park Service (NPS) acquired Friendship Hill in the 1970’s. Later, volunteers claimed to hear footsteps in restricted places. Rumors told of a young woman’s ghost who peered through windows. 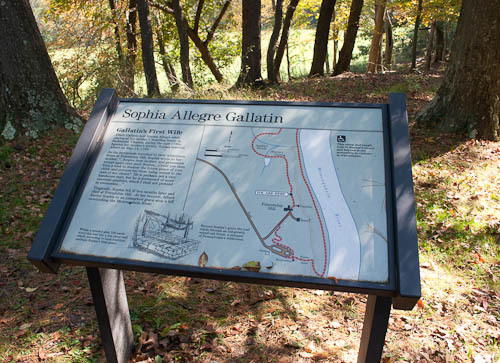 The NPS placed signage at the location that they believe to be Sophia Gallatin’s “new” grave. Is this truly her grave? See more here on Sophia Gallatin’s grave. I visited Friendship Hill National Historic Site a few years ago. According to the NPS website for Friendship Hill, the park includes 661 acres and over 10 miles of nature trails. I saw no food concessions or any vending machines that sold food or drink during my visit to the park. I didn’t pack enough of either of these. I had to leave after a few hours to find a grocery store. I had to drive about three miles to the actual town of Point Marion. I did locate a clean and comfortable restroom with indoor plumbing. I planned my visit during the operating hours for the original stone house where Albert and Sophia Gallatin lived. I paid no admission fee to tour the house. The park staff member at the front desk gave me a map so that I could do a self-guided tour of the main house. He allowed me to bring my camera inside and take photos. 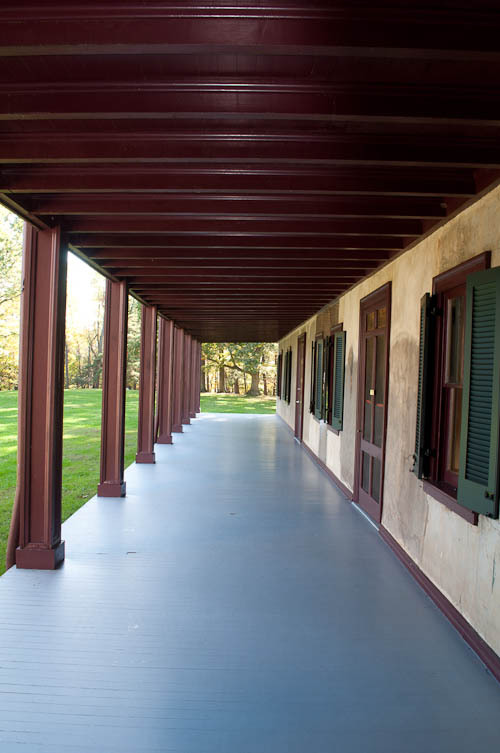 Friendship Hill includes no original furniture that belonged to Gallatin. Now, during my visit, the rooms of Gallatin’s Friendship Hill contained Robert E. Lee’s family’s furniture. Here’s why: the NPS also operates Arlington House in Virginia. Robert E. Lee’s wife, Mary, (Martha Washington’s great-granddaughter) inherited Arlington House. (The United States confiscated Arlington House during the Civil War.) At the time of my visit to Friendship Hill, the NPS was renovating Arlington House. So, the NPS moved the Arlington House furniture to Friendship Hill temporarily. When I walked from the main house to the parking lot, I saw an event tent. Well-dressed people walked from the parking lot to the event tent. I drove past a (living) bride and her azure-clad bridesmaids. They modeled for their photos on the edge of the woods where Sophia Gallatin rested. I went looking for a dead bride that day. I found a living bride instead. I gave you a full month to catch up on my blog! You’re welcome. “Taj Mahal on the Mon” is my name for Nemacolin Castle (aka Bowman’s Castle) in Brownsville, here in Western Pennsylvania. See, Nemacolin Castle sits on a bluff above the Monogahela River (known by locals as “the Mon”). Now, a very long time ago, tremendous earthen mounds dotted the banks of the Mon, Ohio, and Mississippi Rivers. From where did these come? If somebody built these, then who? Some storytellers insist that aliens from another planet built the mounds. Did these mounds bring special energy – special power – to the Mon? 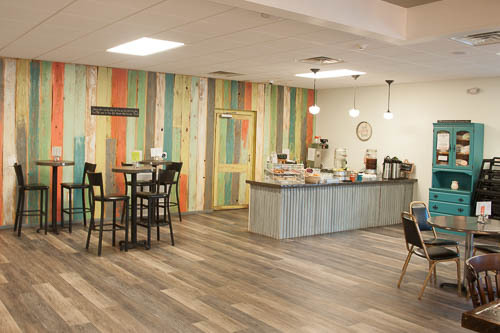 In the 1700’s, British settlers spoke of the Mon and Allegheny’s confluence as the “Forks of the Ohio.” In the 1750’s, Britain and France quarreled over the Forks. They both wanted access to the Ohio River. The French and Indian War started. George Washington served in a British army under General Edward Braddock. Braddock marched up from Virginia and Maryland in an attempt to seize the Forks in 1755. The French and their Native American allies ambushed Braddock. Braddock’s army suffered heavy losses in this defeat. Braddock himself died during the retreat. Washington witnessed all of this. In 1758, Washington served in a different British army under General John Forbes. This time, Forbes seized the Forks for Britain. The British built Fort Pitt at this confluence that formed the Ohio River. The site of Fort Pitt became Point State Park in downtown Pittsburgh. I bring this all up right now just to point out the Mon’s importance to local history and folklore. The river crossing sat on Nemacolin’s Path. This path emerged from a series of trails used by Native Americans to travel through the region. White settlers named the path after the Shawnee chief Nemacolin. General Braddock’s army actually marched on part of Nemacolin’s Path on their way to the Forks of the Ohio in 1755. Then, as I just blogged, General Forbes reached the Forks (present-day downtown Pittsburgh) in 1758. In 1759, British Colonel James Burd built a fort on the earthen mound overlooking the Redstone Creek River Crossing at the Mon. This became Fort Burd. Then the British won the French and Indian War. After this, the white colonial settlers fought against the Iroquois Confederacy during the American Revolution. Around the end of this war with the Iroquois, Thomas Brown purchased much of the land surrounding the Redstone Creek River Crossing. Brown sold part of this land to Jacob Bowman. Jacob Bowman built his trading post and tavern out of material taken from the old Fort Burd. Remember, the British built old Fort Burt on a very old earthen mound. A mound that some claim to be an indigenous burial mound. A mound that others claim was built by an ancient tribe of giant people. A mound that still others claim was built by visitors from outer space. Then the Bowman family used part of Fort Burd to build the family home. How much ancient history – how much ancient power – did the Bowman family import from this mound into their home? Jacob Bowman built a room above his trading post. Bowman and his wife lived in this room. They added more room as their family grew. The home morphed from a trading post to a colonial home. Jacob’s son Nelson inherited the home in the 1840’s. Nelson Bowman added the east wing and the brick tower. Thus, the 1789 trading post grew into a 22 room Victorian mansion. A Victorian mansion with a tower. A castle. During this time, the Bowman family saw births, marriages, and deaths. Lore claims that this home functioned as a stop on the underground railroad. 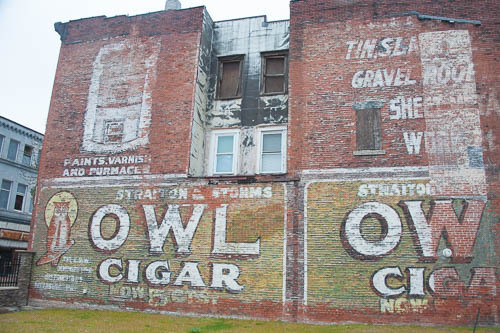 The family’s tragedies and the land’s bloody history figure in ghost stories here. 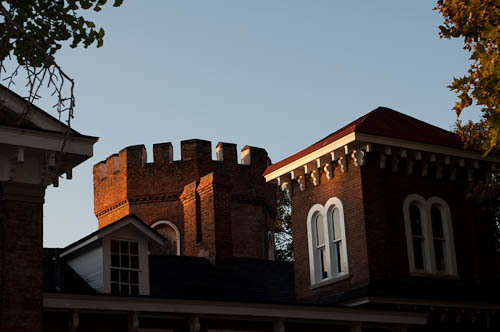 Three generations of the Bowman family lived in the castle until the Brownsville Historical Society acquired it in the 1960’s. The castle’s official website refers to it as Nemacolin Castle but also states “also known as Bowman’s Castle.” The website confirms that “Nemacolin” is in reference to Nemacolin’s Trail. I toured the castle with my sister E.R. in October 2011. We joined a special “ghost tour.” As the name implies, our guide dressed in nineteenth century period clothing and told us ghost stories about the castle. I felt uneasy during the “ghost tour.” But not because I saw any ghosts. I felt uneasy because the house is such a hodgepodge of architectural styles. As E.R. and I waited for our tour to start, we ran into our Aunt L. and our cousins R. and J. Our cousins explained that they toured the castle every year for Halloween. One of my cousins revealed that she once felt something grab her ankle as she stood on a stairway inside the castle. Did you ever tour Nemacolin Castle? Did you see any ghosts? I am learning how to podcast right now. Groundhog Day happens this Saturday. 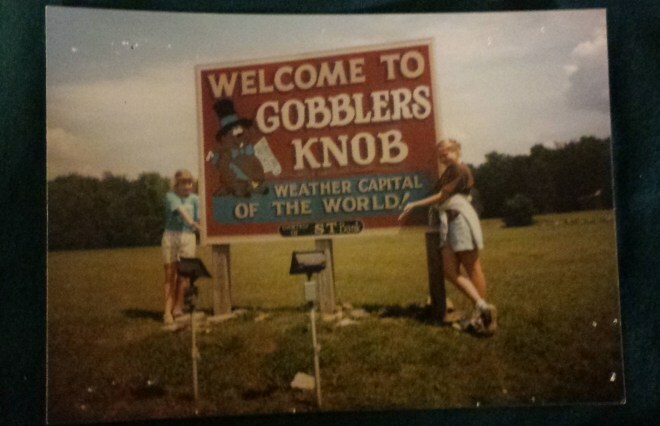 My sister blogged about our family’s trips to Punxsutawney, Pennsylvania (Punxsy) and about her own meeting with Punxsutawny Phil.